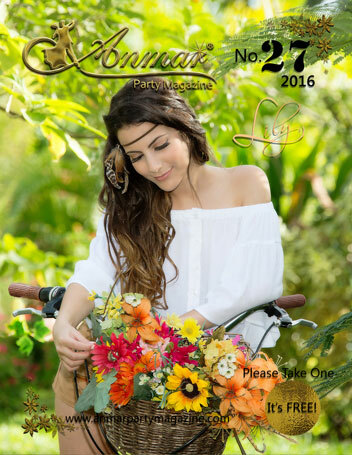 "The Most Complete Magazine for all your Party needs"
DISTRIBUTION: NEW SPECIAL EDITIONS Families’ events are the main content of Anmar® Party Magazine Then every issue is treasured by those families and friends of each girl or couple in the cover page. Girls are eager to show their friends in their schools and reunions their own Party coverage in the magazine. 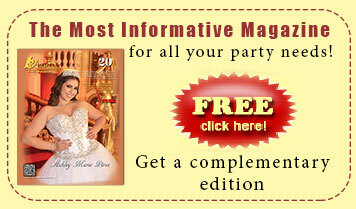 Also, Anmar® Party Magazine is a free publication; it has distribution of 20 thousands issues three times a year, in the most important banquet halls, Hotels, Beauty Shops, Spas, Restaurants, South Florida Vicky’s Bakeries chain of Bakeries and much more, who have as target market young debutantes and their families as well. 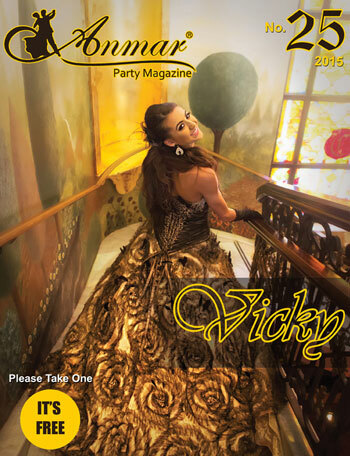 Over Ten years ago Anmar® Party Magazine became bilingual 50% Spanish and 50% English, helping the younger cover page girl to share her Hispanic tradition of the “Quinces” with her friends of other cultures that doesn’t speak Spanish, and also including columns and editorials about product and services of providers of these growing industry of the Celebrations. 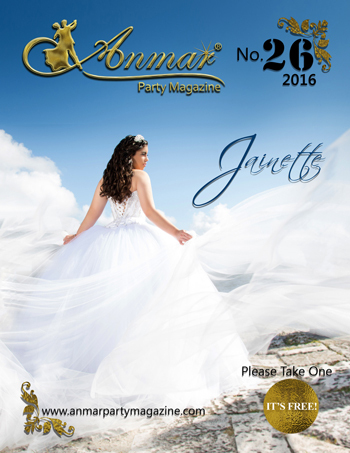 Anmar® Party Magazine it is and remains the only bilingual publication of her kind. Anmar® Party Magazine Es la única publicación con 20 años en el mercado, especializada en publicar las mejores fiestas privadas de los eventos más importantes en la cultura hispana que son los acontecimientos familiares como: Los Quince Años, Bodas, la bienvenida de un Bebé, el Bautismo, Cumpleaños, (Bat & Bar-mitzvahs) y Aniversarios. 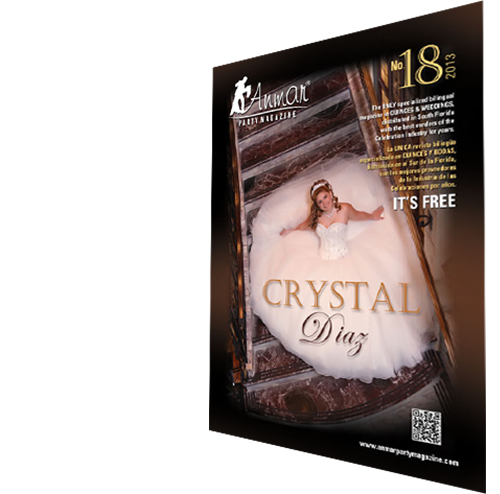 Nuestras portadas no son modelos, pero verdaderas debutantes cuyas celebraciones tienen la cobertura como historias dentro de la revista. 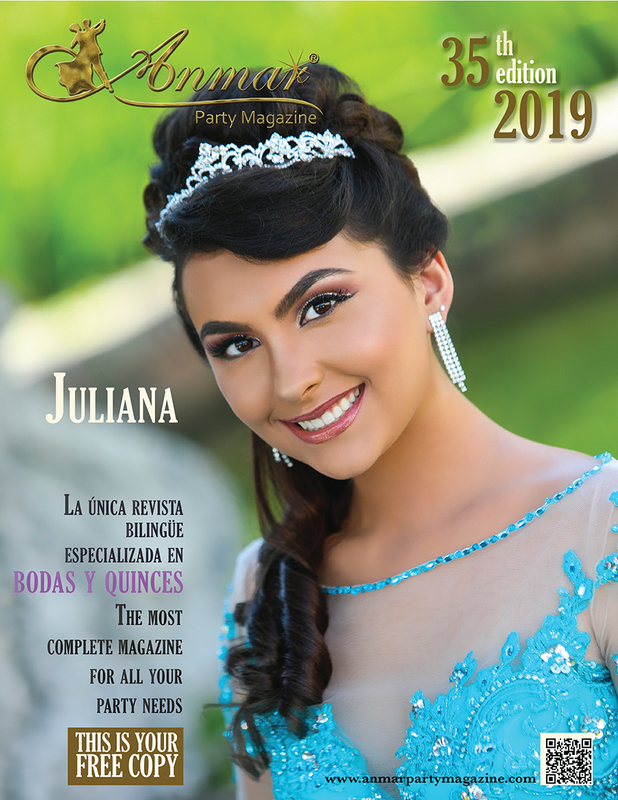 Por mas de dies años Anmar® Party Magazine, Se ha convertido en la primera publicación de su especie bilingüe, ( 50% Español y 50% Ingles) apoyando para que la Quinceañera de la portada comparta su tradición hispana "De los Quinces" con amigos de otras culturas que no hablan Español y también ahora incluye columnas y editoriales sobre productos y servicios de abastecedores de ésta creciente industria de las Celebraciones. Y todavia se mantiene siendo la numero uno en su genero. with the best vendors of the Celebration Industry for years. We are confident that you will enjoy It! © 2005 - 2019 Anmar® Inc.